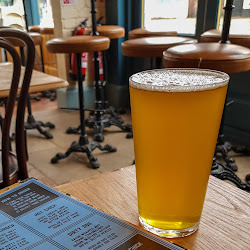 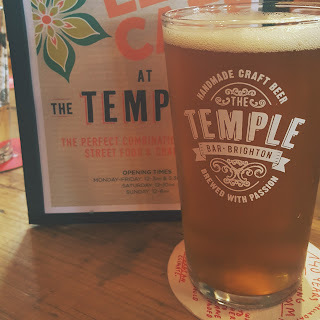 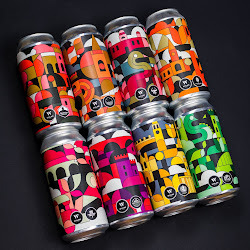 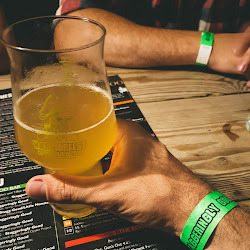 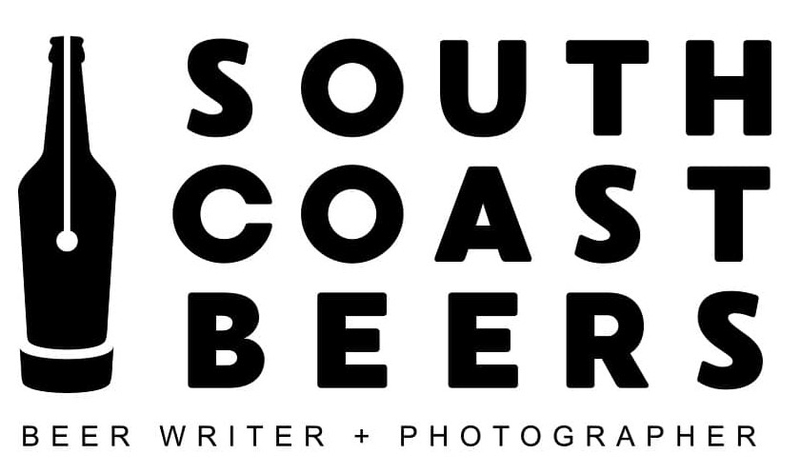 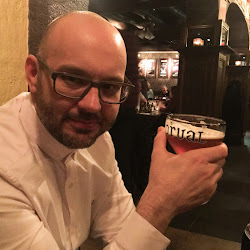 I can't tell you much about Crate, other than that they are a brewery, bar and pizzeria based in Hackney Wick, London. 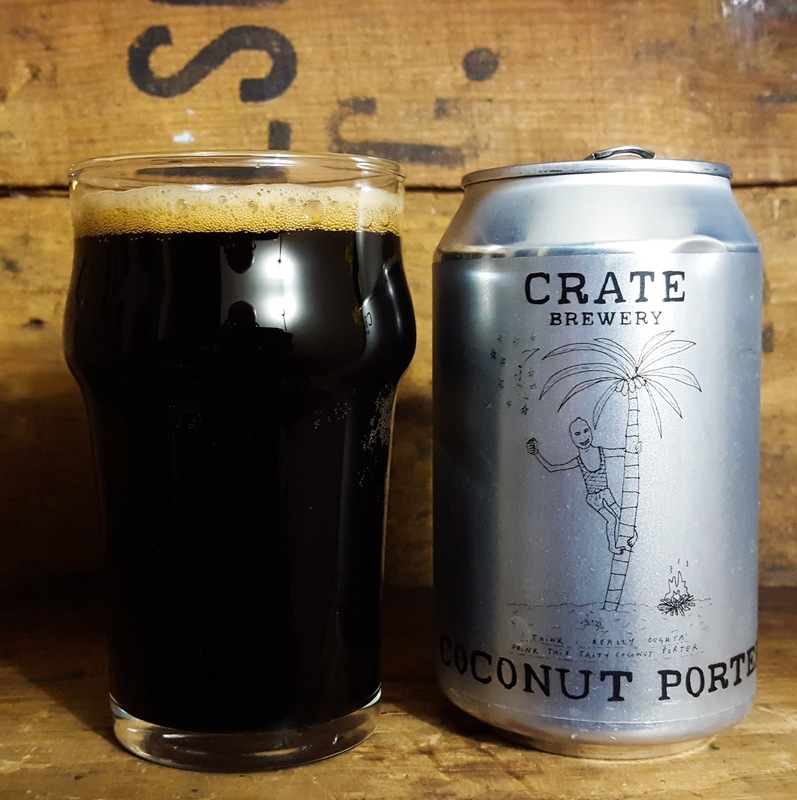 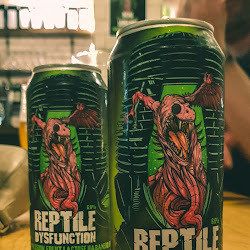 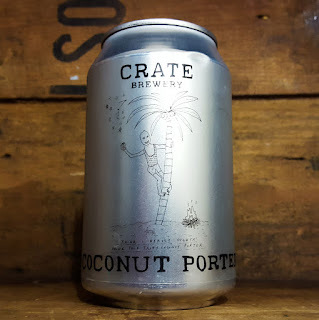 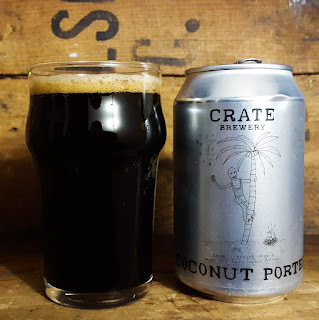 I'd seen cans of their Coconut Porter shared on instagram and since I love dark beers and a taste of the tropical, I snapped one up on a recent beer shopping trip. It pours jet black with a mocha coloured head which does a decent job of lacing. 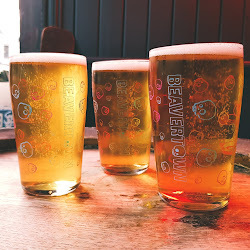 The nose is dominated by coconut, with hints of coffee and a floral hoppiness. 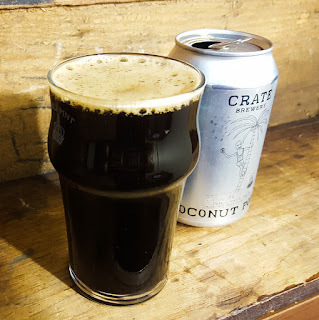 As you'd hope the coconut also comes through strongly in the taste, not leaving a great deal of room for anything else. 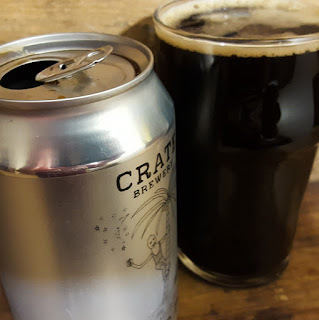 On a dark February evening this lacked something for me; neither offering the depth of flavour or body that'd I'd normally expect in a good dark beer. 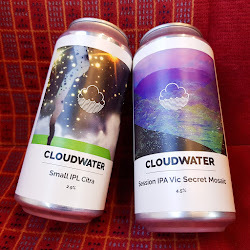 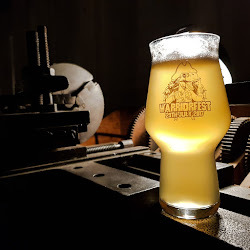 However, I think this is one of those beers that could sing given the right stage. 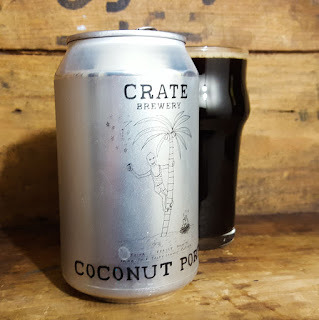 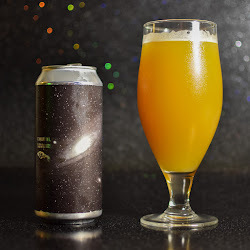 I'll probably buy another can of these to try in the summer; taken straight from the fridge and enjoyed on a hot sunny day I think the well carbonated light body and tropical coconut flavour could make this a refreshing winner. I'm OK with a lighter bodied Stout, and I love coconut, so this sounds great to me!